Without going into the discussion of why HTML 5 is available today and not 2022, this article is going to give you a series of HTML 5 boilerplates that you can use in your projects right now. 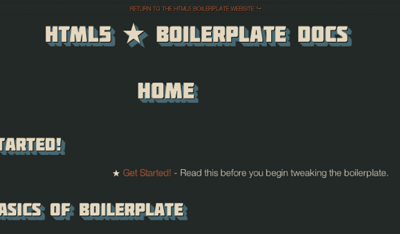 HTML5 Boilerplate is the professional badass’s base HTML/CSS/JS template for a fast, robust and future-proof site. After more than three years in iterative development, you get the best of the best practices baked in: cross-browser normalization, performance optimizations, even optional features like cross-domain Ajax and Flash. A starter apache .htaccess config file hooks you the eff up with caching rules and preps your site to serve HTML5 video, use @font-face, and get your gzip zipple on. Boilerplate is not a framework, nor does it prescribe any philosophy of development, it’s just got some tricks to get your project off the ground quickly and right-footed. A boilerplate is a starting point, it’s a base. It’s a codebase from which things are built with only the necessary and relevant additions being made (note additions, not changes). I won’t beat about the bush, seeing the HTML5 Boilerplate makes me frustrated. It makes me wish I were a vet, or a tree surgeon, or something that isn’t a web developer. Look at all that code. 681* lines. Six hundred and eighty-one. Hell it even takes over 40 minutes to explain! That’s not a starting point, that’s a finished product and then some. his is not your father’s world wide web. Thanks to soaring smartphone sales, new tablet devices like the iPad, and the burgeoning trend of connected devices, individuals are accessing and experiencing the web in a very different way than they were even five years ago. HTML5 Boilerplate is widely recognized as a rock-solid foundation for building new web-based sites and applications. That said, few are aware that the tool offers more than simply setting up your development environment. It also helps you “wrap up” your work by providing an awesome cross-platform build process. If you have reached the bottom of this post, chances are that you like what you are reading. And you can stay in touch with us for even more great content. 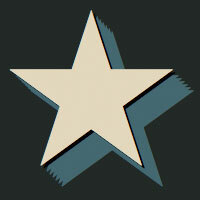 Follow us on Twitter, connect on Facebook or subscribe to our RSS feed. Join the discussion!